I am a huge fan of chocolate and pretzels so when I was looking for treats to put on our activity sticks special treats list I knew I needed to include these yummy treats. The best part about the pretzel hugs is that they are easy enough to make that your kids can help, even if they are young. My two year old was even able to help put them together. Now no more stalling, here is how to make your new favorite go to treat! 2. 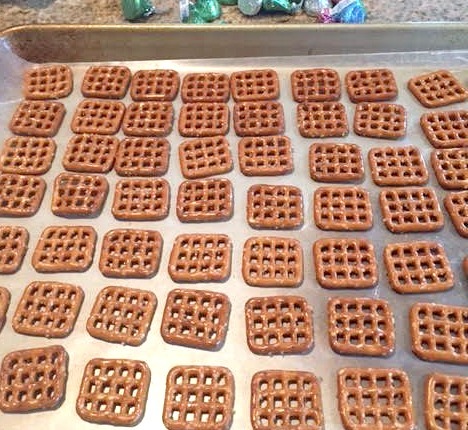 Lay out the pretzels on a baking sheet. This is a great first step for the kids to help with. 3. 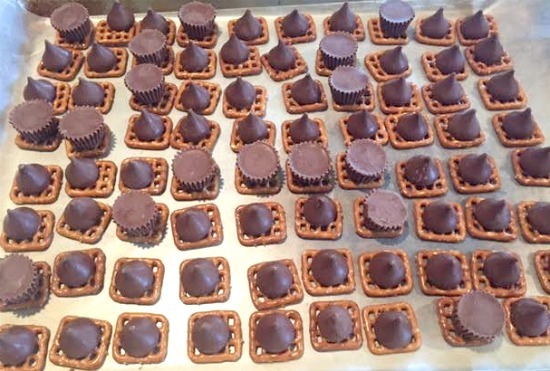 While the oven is preheating have your little helpers unwrap the kisses and peanut butter cups. 4. 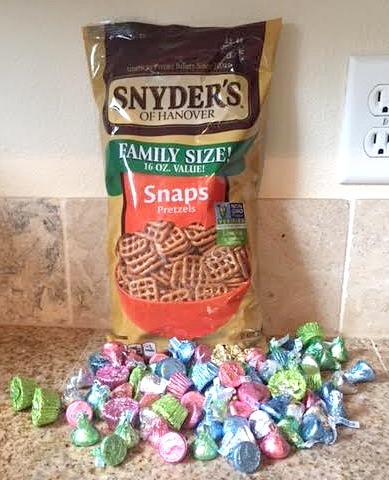 Next have your littles place the unwrapped candy on stop of the pretzels. This can get a little messy so it may be good to keep some wipes near by to disinfect any fingers that may get licked during the process. 5. 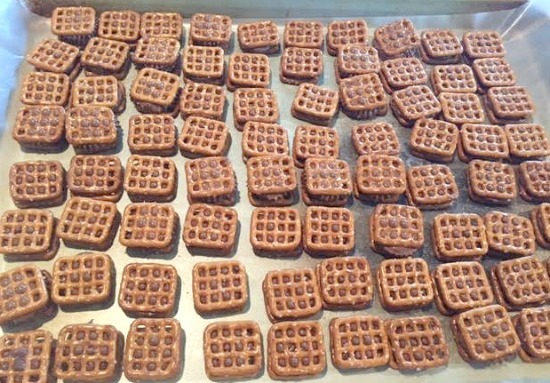 Put the pretzels in the oven for 2 minutes, the chocolate should be soft but not melted all over the place. 6. Top each chocolate with another pretzel. 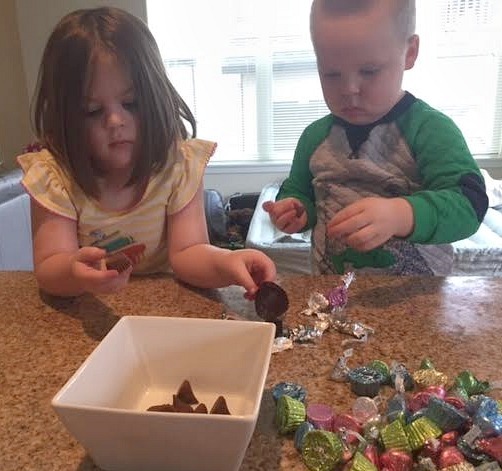 The whole process took about 15 minutes, the longest part being unwrapping the chocolates. So it was an inexpensive and very quick treat to make. I think these would make for a perfect treat to bring to a party or even a treat to have in your cookie jar. You could also drizzle them with some white chocolate, especially if you used Hershey Hugs, and top with sprinkles. This could help tie them into any holiday, like some red white and blue sprinkles for the 4th of July! What special occasion could you see yourself bringing these delicious treats to?